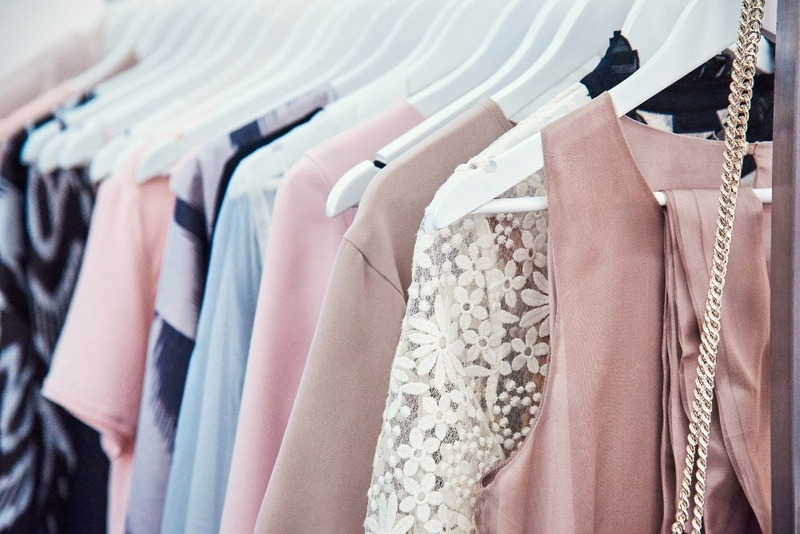 Professional declutterer Chloë Howat shares her foolproof steps to wardrobe wellness. Can’t find anything in your wardrobe? As a professional organiser, I’ve seen my fair share of cluttered storage. The first step to creating a tidy wardrobe is letting go of items that should no longer be in there. Pick up an item and ask yourself honestly: do I love this or use it on a regular basis? If not, it’s time to say goodbye. Having all your clothes, shoes and accessories in one place may seem like a good idea; but if your wardrobe is regularly crammed, you’ll find it easier to navigate if rarely used items are stored elsewhere. Move anything that doesn’t need to be accessible year round - such as ski gear - somewhere else, like under the bed. The same applies to seasonal clothing: keep your summer and winter clothes packed up and stored elsewhere when they’re out of season, then rotate them back into your wardrobe as the weather changes. What’s the best way of maintaining sartorial order? Think of your wardrobe as a filing system, but way more stylish. Categorise your clothes in a way that makes it easy to see what you own, whenever you open your wardrobe. Whether you organise by colour, garment type, length or a combination of all three, find a system that works for you - and stick to it. Those ’I have nothing to wear’ days will soon be a thing of the past. Matching hangers will instantly make any wardrobe rail look tidier. If you’ve got the space, wooden ones are a great option for a clean Scandi look; there are also some excellent skinny hangers out there if need to make the most of limited space. Uniform storage boxes will also keep shelves looking neat - and if you opt for non-transparent ones, you can label the boxes so you know what goes where. You’ve decluttered your wardrobe like a pro; but how to keep it clear and tidy? Treat ’one in, one out’ as your new mantra. Before you buy something new, think about which item you’ll be letting go of to make room - it can really help to keep your wardrobe under control and curb impulse buys. Don’t forget: for all those pieces that you absolutely adore, but haven’t worn in a while because they’re in need of some TLC, Clothes Doctor can help. Whether it’s mending wear and tear, altering sizes for the perfect fit or tailoring for a bespoke look, Clothes Doctor can refresh any garment. You’ll feel like you’ve got a shiny, new piece of clothing for a fraction of the cost.